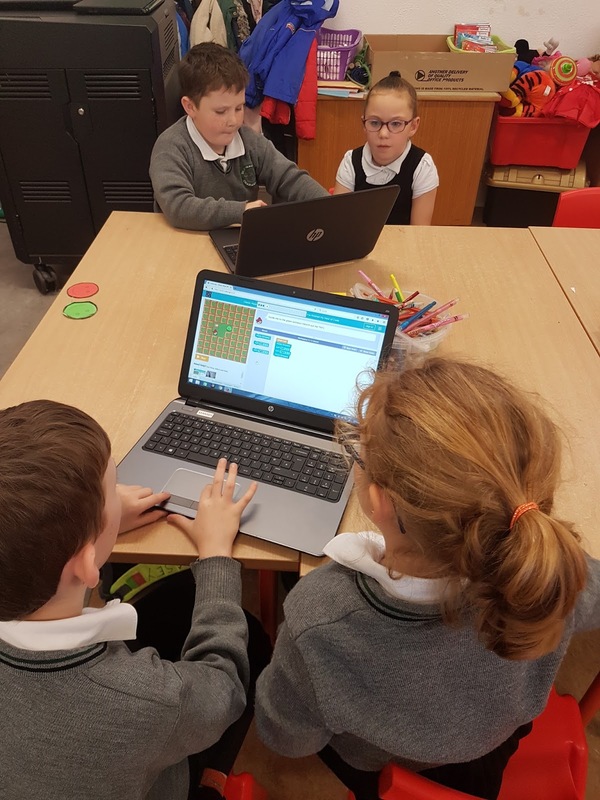 This week, we used the Scratch programme during our coding session. SCRATCH is a programming language (CODE) that lets you create your own interactive stories,animations, games, music, and art. We started by learning the basics - step by step. We learned about the stage, sprites, palette of commands, code area etc. From our work on the Great Barrier Reef in Australia, we had drawn pictures of an underwater scene. 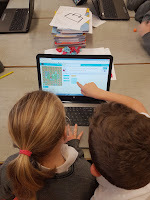 This was our first project to create it using Scratch. 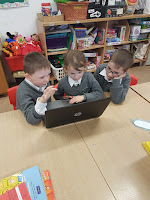 We also had some free time to explore the programme and choose our own stories. We look forward to our final session next week! 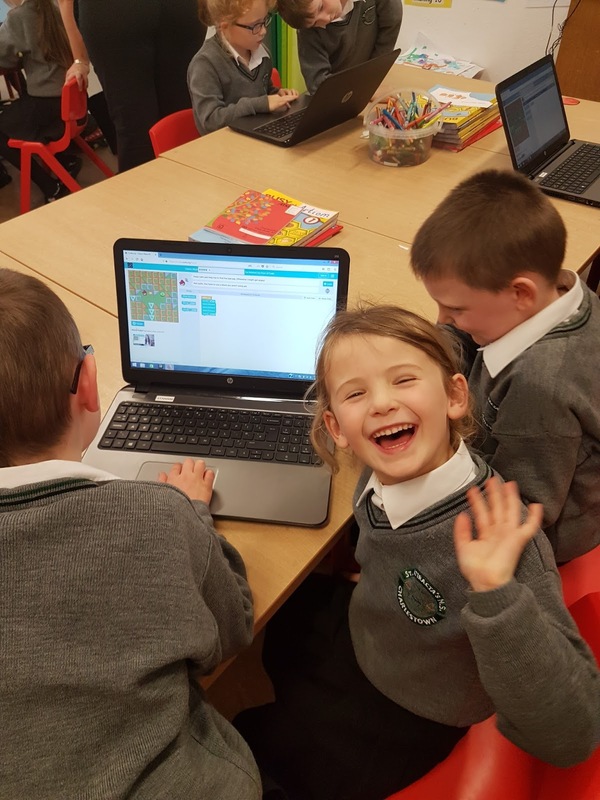 We are very happy to have Aideen in for a few weeks to teach us how to do coding. We began by learning the language of coding - code, programmer, sequence, loop, commands etc. 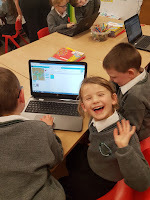 We are excited about becoming programmers over the next few weeks. We were happy to get the laptops out for the first time this year, for Session 2. 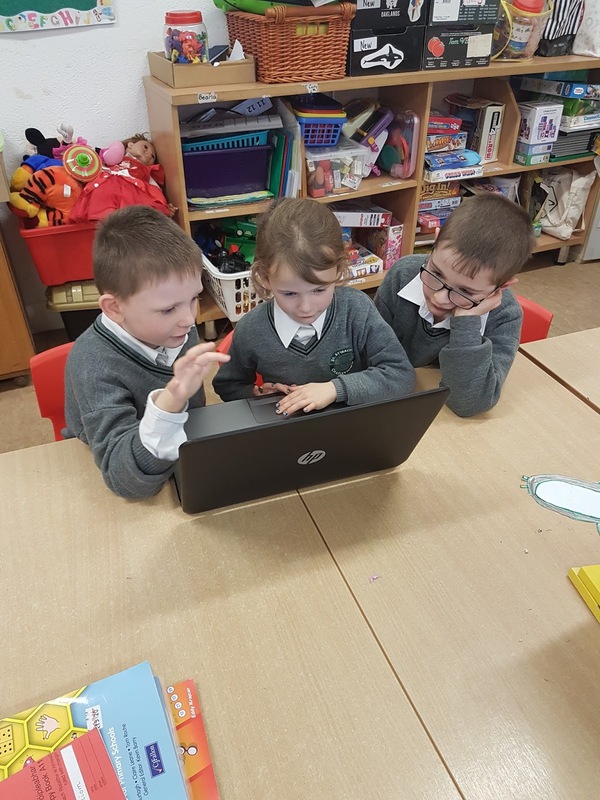 We learned about the different parts of the computer. 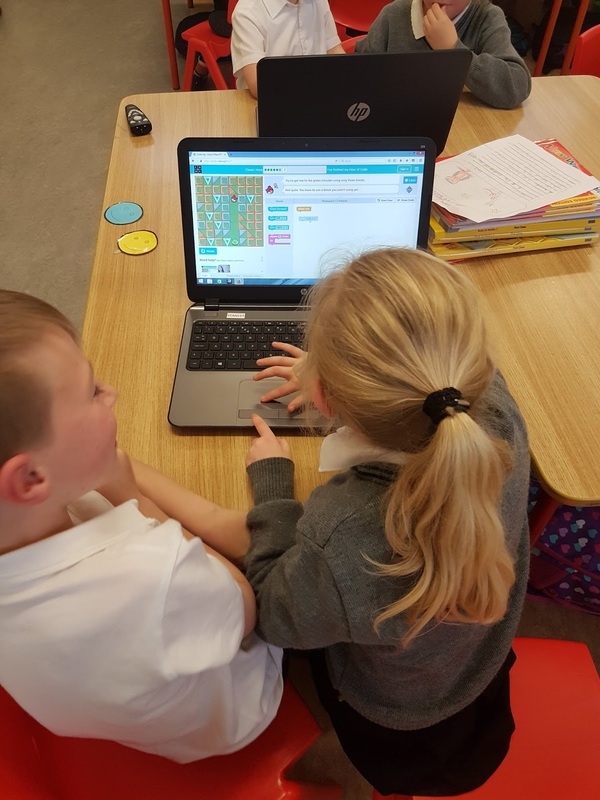 We played our first coding game - Blockly! 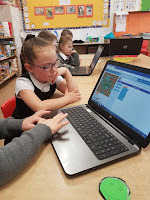 This is a type of coding where you connect blocks together to form code. 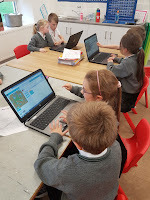 Session 3 was Coding with Angry Birds. Our mission was to catch the naughty pig. We worked very well through the levels. 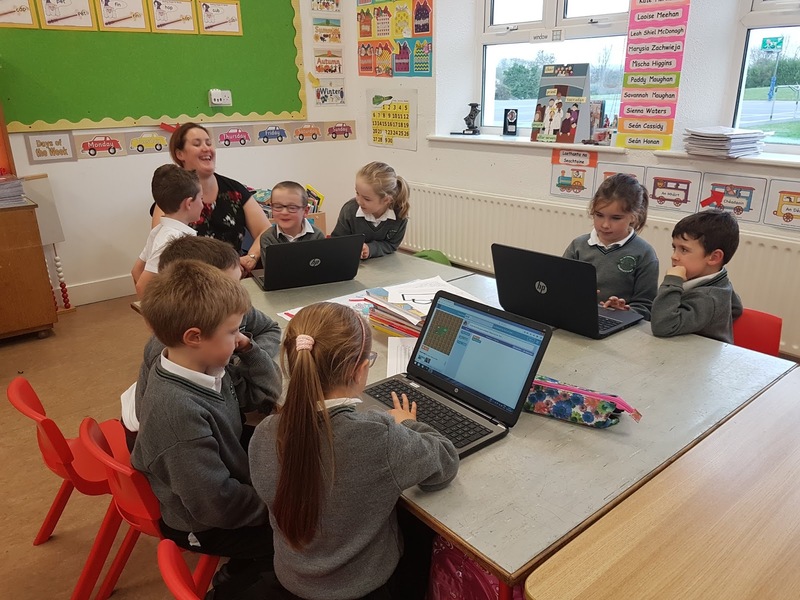 We are learning about the Days of the Week in Maths and we are also learning how to spell them. 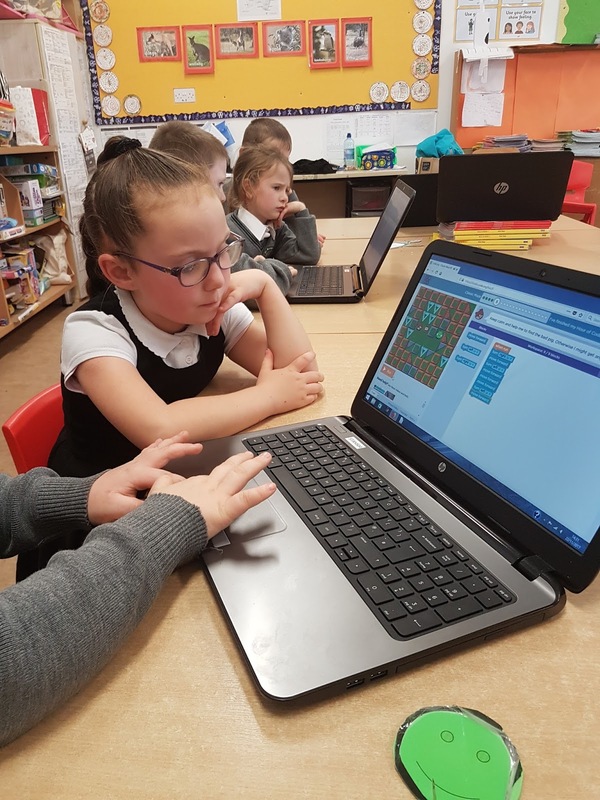 These games help us to read, learn and spell the days.